Several years ago the organizers of the National Day of Prayer were selling on their website a photograph of a darling, very young girl with eyes closed, caressing an American flag to her cheek. The title of the framed picture was, “True Prayer.” How is this flag-cuddling an image of true prayer? What kind of prayer can this be? To whom is prayer being offered? Only in the view of those whose faith has been significantly misshapen by nationalism could prayer be identified in any way with tenderly caressing the Stars and Stripes. I pray for America and for the leaders of the nation. I pray for other nations and their leaders as well. I hope others will do the same. I pray for justice. I pray for peace. I pray that the leaders of nations will seek to work with one another for the good of all and not be entirely focused on the narrow interests of their own people or be driven by national pride. I pray for America as I pray for my family. It is where I have been nurtured and in it I have a home. And no matter how many quotes from Pilgrims, early Puritan preachers, Founding Fathers or Presidents can be strung together, as Marshall and Manuel managed to do in their well known book, The Power and the Glory, America does not, and never has “had a national identity as a people chosen by God for a special purpose: to be not just ‘a city upon a hill, ’ but a veritable citadel of Light in a darkened world.” (p. 251). Divine election does not exist just because people claim it does. 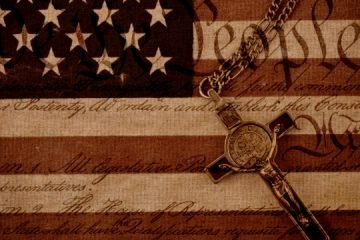 America has no unique status bestowed by God or blessings given because of national righteousness, now or in the past. But much that takes place at the National Day of Prayer is permeated with the assumption that America has a divinely given role. This is reflected in the frequent use in the annual gatherings of 2 Chronicles 7:14, “ If my people who are called by my name humble themselves, pray, seek my face, and turn from their wicked ways, then I will hear from heaven, and will forgive their sin and heal their land.” Yet the “my people who are called by my name” are not Americans but the people of Israel and America is no New Israel. Further, the phrase “heal their land” is referring literally to land, not the nation but the soil, as is evident from the previous verse. The passage is routinely misappropriated for the purpose of promoting national renewal. The National Day of Prayer is an occasion, not just to pray to and glorify the God of all nations, but to foster religious nationalism. The community in which I live is better than most in broadening the celebration to include people of all faith traditions rather than allowing it to be an event dominated by the Christian Right. The various participants freely pray or sing in forms dictated by the distinct traditions. There is no expectation that others who are not of their tradition would join them in the prayers, songs or gestures but simply to respectfully observe. Regardless, unifying focus of the gathering is found in something other than prayer, regardless of how it is defined. The unifying focus is America itself. This is seen in the fact that the only portions of the event in which all are expected to participate are those that express and reinforce national identity: the Pledge of Allegiance to the Flag and singing a song about America. Usually the song is “God Bless America, ” not a jingoistic selection. Regardless, altogether the message conveyed through the National Day of Prayer is that God has a special regard for America and so should we. The people of faith who do not share this conviction and will not participate in songs and rituals that instill and express nationalism are essentially excluded. Their willingness to pray with others is not a sufficient condition for full participation in the gathering. A more appropriate name for the occasion is the Nationalistic Day of Prayer. 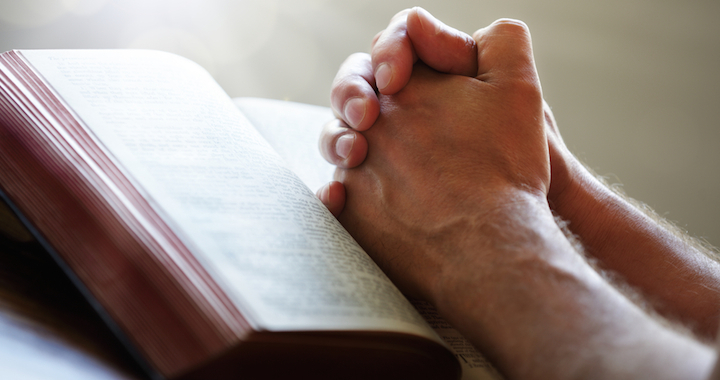 Christians should be suspicious of state sanctioned prayer because in fact the only time the state sanctions prayer is when it can be confident that such prayer will bolster state sanctioned ends, or at least not obstruct them. The provocative theologian Stanley Hauerwas noted, “Americans expect their presidents to believe in god. They do so because they are confident that the god presidents believe in is not a god that can call into question the American project.” All we have to do is read the words in the yearly Presidential Proclamation for the National Day of Prayer to find clear confirmation for his claim. A day of prayer without the nationalistic elements would not be the National Day of Prayer as it is practiced. Presidential Proclamations repeatedly speak of the occasion as a “day of unity and prayer” and acknowledges those who pray are of “many different faiths.” But the umbrella under which the diverse many unite on the National Day of Prayer is America, not God. The Presidential Proclamations urge that prayers be offered that celebrate American values, blessings, freedoms and defenders. God is thanked but mostly God is thanked for America, the real object of attention and adoration. 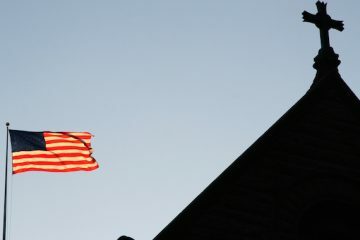 Any God who would call into question the greatness or superior goodness of America, any God who does not recognize American exceptionalism, and any God who desires people to be united by some identity that transcends national identity is not a God acknowledged at National Day of Prayer events. The god who is acknowledged at these gathering bears little resemblance to the God of the Bible, or for that matter, the God of any major religious tradition. The god most at home in National Day of Prayer gatherings is a domesticated tribal deity, the god of American civil religion. This little god is not worthy of our devotion. The Politics of Worship: Who Do You Serve?